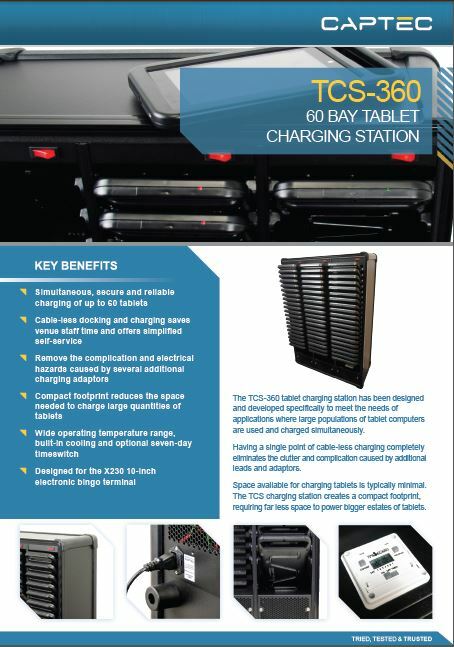 The TCS-360 tablet charging station has been designed and developed specifically to meet the needs of applications where large populations of tablet computers are used and charged simultaneously. Having a single point of cable-less charging completely eliminates the clutter and complication caused by additional leads and adapters. Space available for charging tablets is typically minimal. 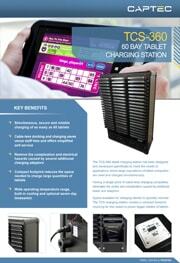 The TCS charging station creates a compact footprint, requiring far less space to power bigger estates of tablets. Our design and engineering specialists can can customise and adapt tablets to add the functionality, protection and support services you need. 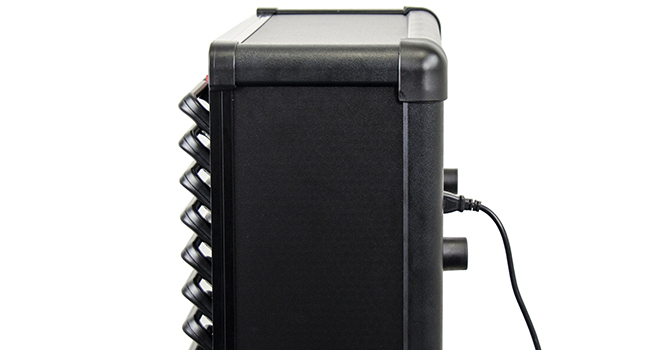 Designed for locations where large populations are used on a single site, the charge station provides compact and hassle-free charging for 60 tablets. 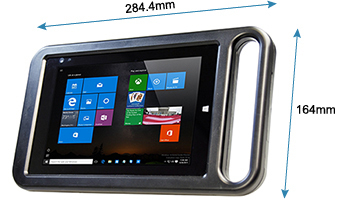 The cable-free architecture makes putting the X230 onto charge less complex, facilitating the possibility of self-service installations and reducing the time spent by staff issuing and recharging tablets. 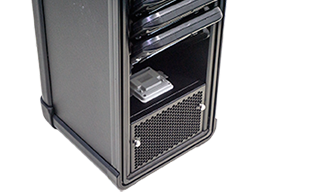 Cable-less docking eliminates downtime and prevents issues associated with cable breakages due to wear and tear. 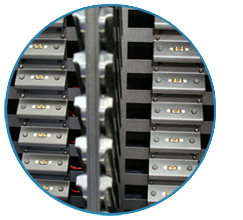 With three vertical stacks of 60 tablets, the charge station minimises the floor-space required to keep devices charged. 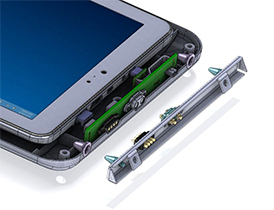 Built-in cooling ensures tablets are reliably and efficiently charged. An optional seven day time switch can be specified to schedule charging, and prevent unnecessary trickle charging. Optional built in Ethernet connectivity to a compatible charge station provides a wired connection to the tablet, mitigating performance issues related to data transfers over a wireless connection. 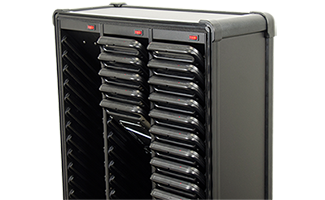 If an off-the-shelf tablet platform does not provide all the functionality you need, we can engineer the customisations that ensure it meets the exact requirements of your application.